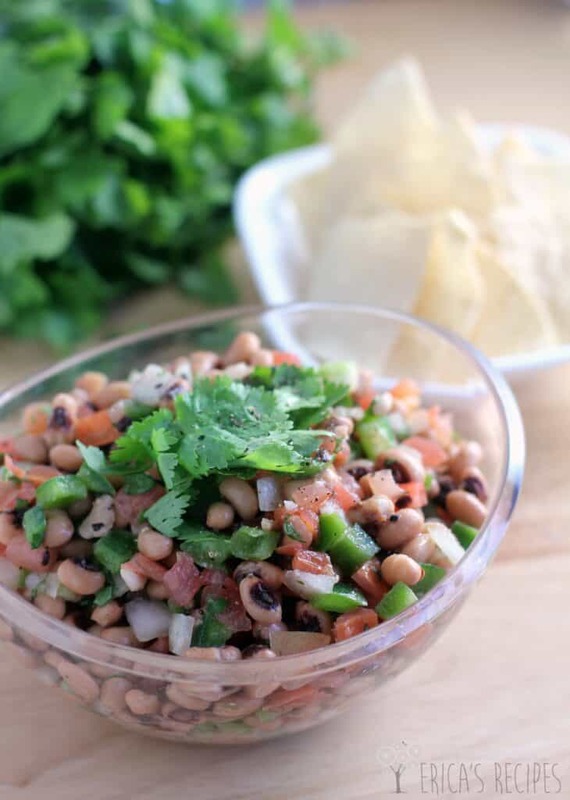 Usher in your New Year with a healthy New Year’s Eve Black-Eyed Pea Salsa using traditional black-eyed peas. 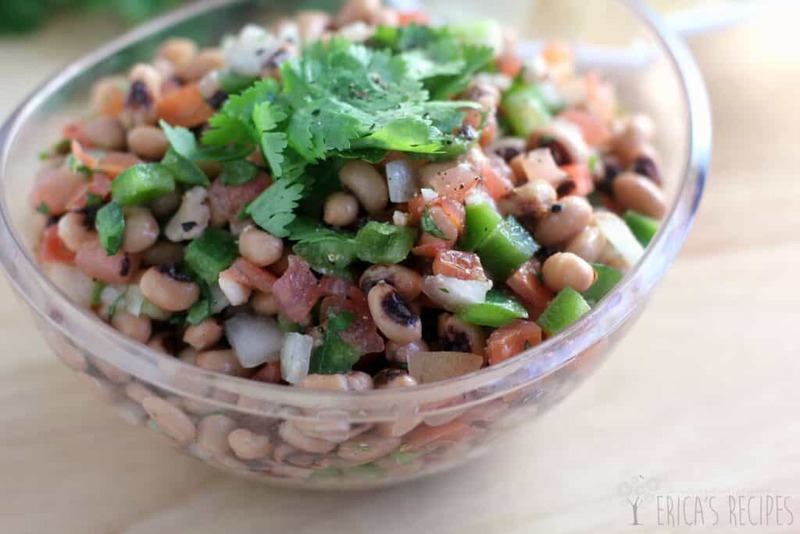 This southern US tradition is one I love – eating black-eyed peas is thought to bring prosperity for the new year. I have no clue if it works, but I do know that this easy, delicious party food is one of the best things ever. After all the heaviness – Thanksgiving, Christmas, parties, and on and on, this salsa just hits the spot in a light, super refreshing way. And the creamy peas! Filling and tasty – this is a tradition in my home. Make it one in yours! Combine and chill for at least 30 min. I already cracked open some black eyed peas yesterday and plan on eating them through out the rest of the week! 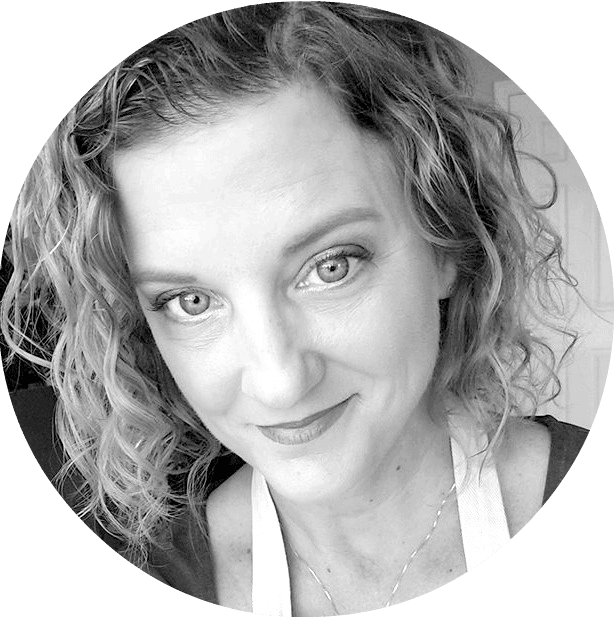 Let them bring all the luck…plus they are just so darn good! I’ve never had black eyed peas! Don’t gasp. 😉 Probably a regional thing, we just never had them in our home when I was growing up and have always made what I knew. I will have to give this a try. I love cilantro so its very appealing to me. This sounds super yummy! Can’t wait to try this. Definitely making it for New Years Eve. Something new and different! Pinned! What a healthy and delicious New Year’s treat! I can’t wait to try it! 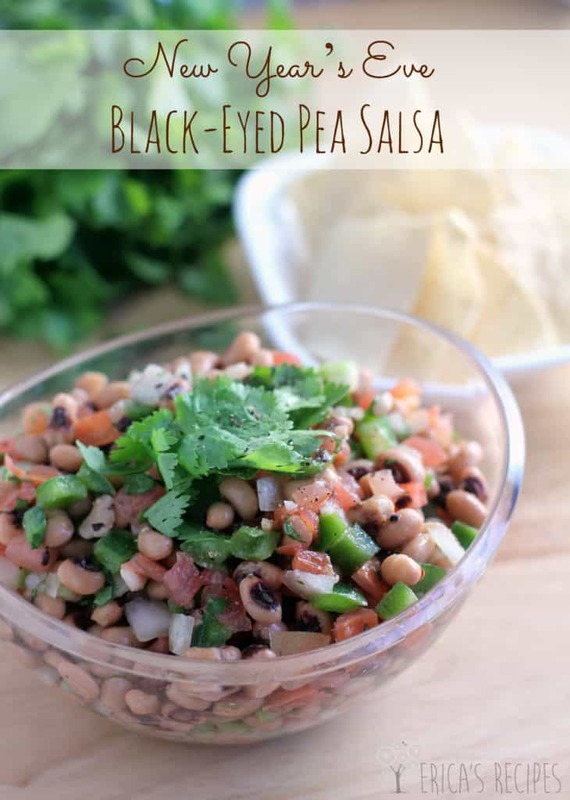 We always eat black eyed peas for New Years and so this just may appear on this year’s menu! This looks delicious! And what a great idea to invite prosperity into your new year! I think I will make it a tradition! This looks yummy! Thanks for sharing with Tasty Tuesdays!